Businesses have a new opportunity to reduce food waste while helping the hungry in their communities. Feeding America, a nationwide network of food banks, has launched an app to facilitate donations of surplus food and get them to food banks and pantries that can best distribute them. MealConnect was tested for three years — during which it was able to redistribute 278 million meals — before fully rolling out this month. It invites restaurants, manufacturers and grocery stores take pictures of extra or nearly expired food they have available and upload them to MealConnect by computer or through the mobile app. 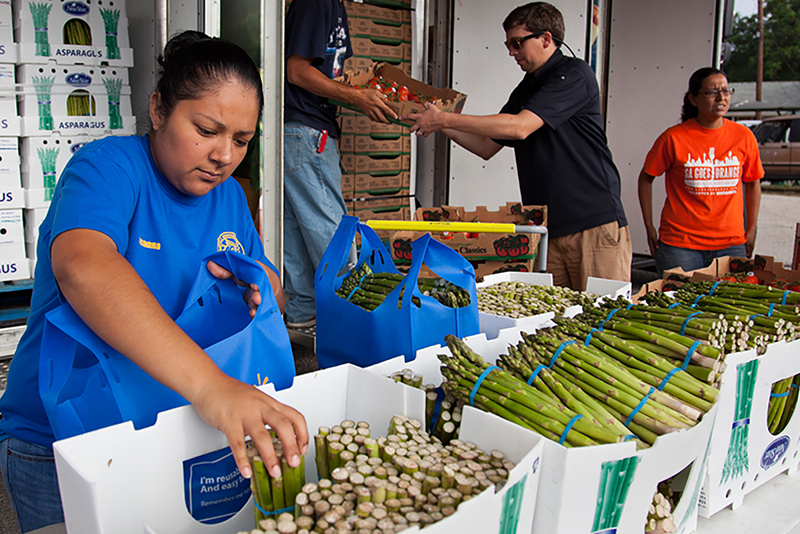 Feeding America will pick the food up at the donor’s convenience and determine how it can best be distributed within the organization’s network. The organization works with 200 food banks and more than 60,000 food pantries and meal programs to serve communities in need. Google, General Mills and Walmart sponsored the app’s development. Can MealConnect Help Curb American Hunger? Americans waste 133 billion pounds of food each year, according to the U.S. Department of Agriculture, while approximately 42 million people face hunger and food insecurity in the U.S. The MealConnect program could make it easier for businesses that aren’t accustomed to donating surplus food to get acquainted with the practice. They’re protected by the Federal Bill Emerson Good Samaritan Food Donation Act, which was enacted in 2006 to encourage giving by releasing donors from liability. This isn’t the first app of its kind, but the strength of the Feeding America network may make it the most streamlined of the options that have cropped up in the past few years. In Philadelphia, the Food Connect app was developed to redistribute food during the 2016 Democratic National Convention. It was so successful that it’s now running as a year-round program in that region. Food-sharing app Olio launched in 2014, allowing neighbors to offer or request surplus food. It has since expanded to include items beyond groceries. The BuffetGo app alerts users about leftover food from buffet services that restaurants and hotels want to unload for cheap rather than toss immediately. While creeping on a leftover smorgasbord for just a few bucks may be appetizing, doing so requires a smartphone. The service area for this app is still limited primarily to the Los Angeles and New York City areas. But with a network as strong as Feeding America’s, the MealConnect app may be poised to put a considerable dent in U.S. hunger statistics.